Fitness trackers are a dime a dozen these days, but one company in particular, Mio, is trying to challenge what it means to have a fitness tracker that helps you with your particular health makeup and exercise regimen by doing away with the usual 10,000-step count on fitness trackers. Yes, the 10,000 step-count on fitness trackers is something of a tradition, a way to let others know when you’ve exercised to some extent for the day. 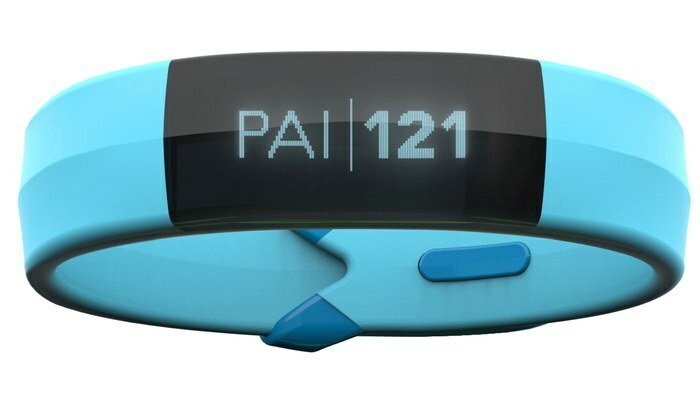 Mio has created a new fitness tracker called the Slice fitness tracker, that provides your overall health exercise estimation and evaluation according to a Personal Activity Intelligence score, or PAI. The PAI takes into account factors such as your weight, height, calorie intake, and so on to evaluate your daily workout. Mio says that its Slice fitness tracker will lead the way in this because steps are not all equal – meaning that any steps can count toward the 10,000-step goal that has become the norm for fitness trackers. You can have 6,000 small steps and 4,000 normal-size steps, and still reach your 10,000-step goal without seeing that you haven’t done much exercise for the day to get your heart pumping at a heart rate it should. Without the heart pumping at the expected rate during exercise, you’re far less likely to actually lose calories (which is the goal of using fitness trackers anyway). We have no further information about the Mio Slice fitness tracker, but it sure looks to revolutionize fitness trackers as we know them. Are you excited about this new fitness tracker that “weighs” (pun intended) your steps and physical activity differently?